Olha Stefanyshyna will be responsible for European integration and drug procurement. 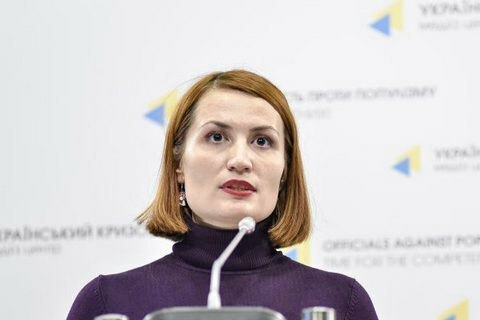 The executive director of the charity foundation Patients of Ukraine, Olha Stefanyshyna, has been appointed deputy minister of health. She will be responsible for European integration and drug procurement, acting Health Minister Ulana Suprun said on 11 January. "Olha Stefanyshyna has extensive experience in healthcare. She has long been involved in the struggle for patient rights and actively supported healthcare reform. Olha is a co-founder and executive director of the Patients of Ukraine charity foundation, and an expert in the Reanimation Package of Reforms think tank. She is a co-author of the law on international drug procurement, which allowed to overcome corruption in this area and save budget funds," Suprun wrote on Facebook. Last August, Oksana Sivak was dismissed from the post of deputy minister of health for European integration. PM shrugs off corruption problem as "overblown"